Making use of your time effectively and productively. Time management is difficult for administrators due to the constant stream of interruptions that they receive. How can anything be accomplished when administrators are called upon to fix issues and stop and advise others should they have an issue that needs a more experienced touch? There are other interruptions such as email and instant messages, to name a few, that can be the source of productivity killers. Therefore, the administrator should learn to allot their time to be used to their best advantage. Use one source of time management organization. Know what tasks are important and use your brain power on these tasks. Let's look into these a bit further. Use one source of time management organization. Everyone these days uses some form or organizer, be it digital or paper notebook. The important thing is to utilize only one form of organizer. If you start to make notes in several organizers it will be quite easy to miss something that was important. It is a good idea to use some form of (digital) organizer that can "communicate" with other devices. For instance, if you use an organizer, say Microsoft's One-Note® as an example, on your PC at work and you have it installed on your smart phone as well, you can make a note in one device and it will automatically be sent to the other device as well. This is important should you be away from your desk and have to make notes about something, and equally important if you have something scheduled at your desk and want to be reminded about this event when you are away. Develop a routine. Laziness is not always a bad thing, but remember there is a difference between constructive and destructive laziness. Programmers who use the same code over and over usually have this code saved and cut-and-paste the code to prevent them from having to re-write it each time they use it. This is a good form of laziness, or better defined, a habit. Your routine can be just as simple. Develop a routine like checking your email when you first come into work so that you can schedule out your day. Check your existing schedule to see what you have planned for the day. Develop routines and importantly stick with your routine. In the end you will find that your day will go smoother with fewer unexpected issues showing up. Develop habits and mantras. Habits are acts performed without thinking. Mantras are things that are repeated but unlike a habit, you must mentally know to when perform the mantra. Now in many ways habits can fall into the category above about routines. The easiest way to provide an example is to say make many of your routines a habit and make your habits, (hopefully good ones of course,) your routine. Now mantras are slightly different. One of the best mantras that can be used as an example is to not put things off. If a project has a due day two weeks down the road, why wait until the last minute to complete the project? If you have time to start the project now, do it. Sooner than later has always be a win situation. If you wait until the deadline is closing fast, some emergency or other factor may raise it's head and prevent you from completing your task. As the old saying goes, "Don't put off until tomorrow what you can do today." Maintain focus. Interruptions are the enemy of focus. Distractions are as well because they take you away from what you are focused on. The best advice is to minimize any external interruptions or distractions possible, though this is not always possible. 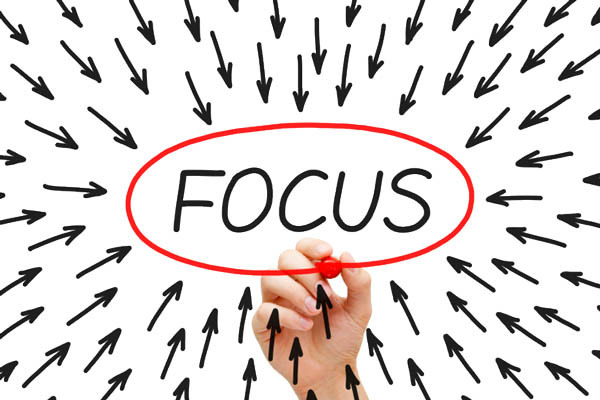 If you are focused on a task and you are interrupted, make it a habit to deal with the interruption or distraction and immediately regain your focus back to your task. Put your phone in "Busy" or "Do Not Disturb" mode if you have that option. The main point is to maintain focus and if that focus is derailed for some reason to make sure you get back on track as soon as you can. Know what tasks are important and use your brain power on these tasks. When your mind gets cluttered with a constant bombardment of interruptions and distractions, it is easy to lose focus on what is important. Face the grim fact that humans cannot successfully multi-task, no matter how much we want to convince ourselves (or others) that we can. If you maintain focus on what is important and schedule the less important demands for later, this will better your chances of completing the most important tasks first. If you have to, delegate or ask someone else to handle the tasks of lesser importance thus allowing you to maintain your focus on the more important tasks or projects.